Today, February 15, we celebrate Susan B. Anthony’s 191st birthday with two very special articles. 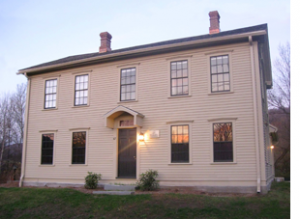 My own article “Susan B. Anthony Was Born Here,” tells the story of the restoration and opening of the Susan B. Anthony Birthplace Museum amidst the historic Berkshires in beautiful Adams, Massachusetts. We want you to know and share our rich pro-life feminist history. From now through the end of Women’s History Month in March, we invite each one of you to participate in Feminists for Life’s joyous celebration by reaching out to educate others and welcoming them to join us in creating practical resources and support for pregnant women and parents. Each one of us counts. Don’t forget to join us on Facebook, share FFL links with your Facebook friends, and tweet your favorite quotes from this series (#MarchForthFFL). Help us keep the revolution alive by advocating woman-centered solutions.